Circa 1950. 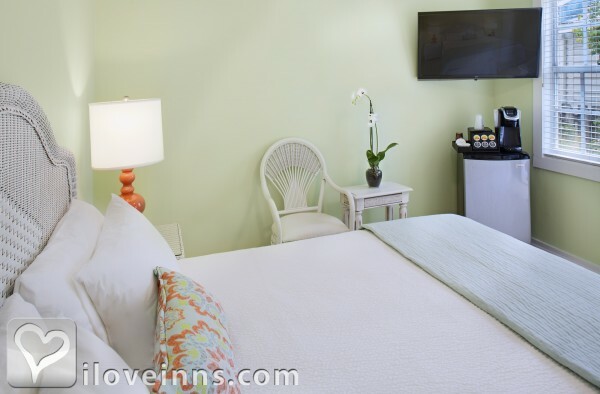 Experience the hallmarks of hospitality, intimacy and relaxation during every stay at this inn. 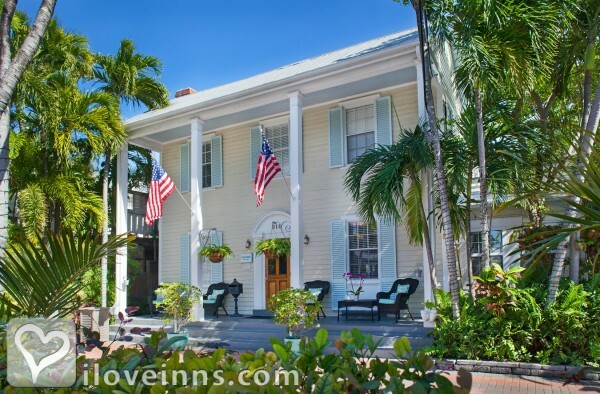 Built before World War II, it is located in the Historic Seaport District of Old Town and boasts a delightful Victorian compound with the comforts of a modern hotel. 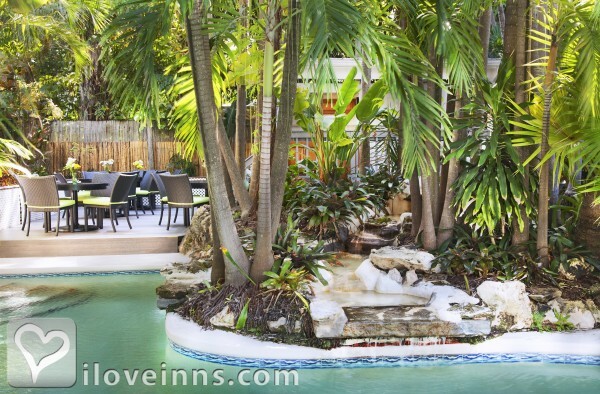 Secluded in a native tropical setting, the gardens are lush with balmy palm trees, shrubs and a mini waterfall. The surroundings provide the perfect place to relax, unwind, and set worries aside. An extended continental breakfast is served by the pool every morning. One of the two large swimming pools includes a jet spa. Enjoy free wireless Internet access. Make use of the lounge with a kitchen, sitting area and library. The waterfront is close by for entertainment, sunset sails, snorkeling and fine seafood restaurants, as well as Duval Street's dining and shops.Publicity and Awards: New York Times, Veterans View Paper, The Key West Citizen.Location: City/Urban, Ocean Community, Historic Seaport District and Old Town Key West. Payment types accepted include Travelers Checks, Visa, Discover and Master Card. 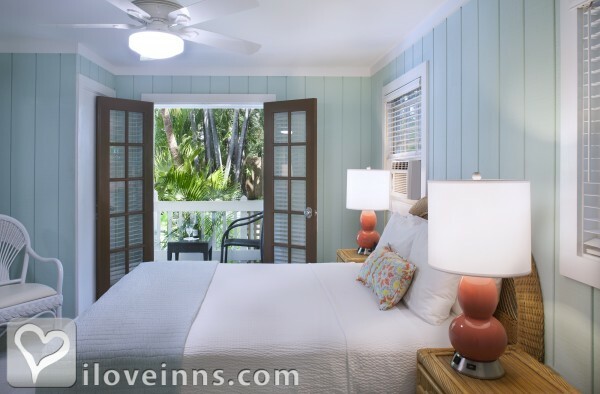 Rooms: This property has 5 total guest accommodations, 22 with private bath, 4 total suites, including 3 two-bedroom suites, 4 cottages and 1 conference room. 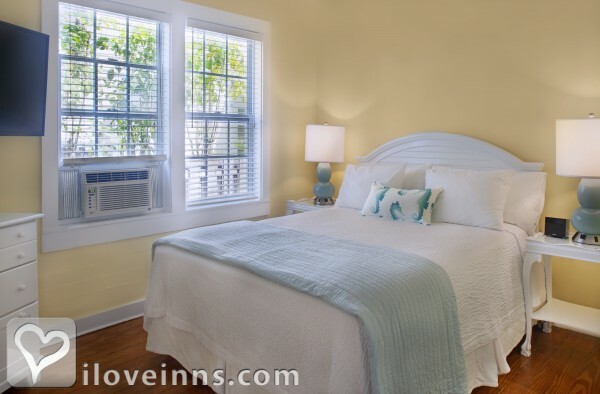 Minimum Stay Requirements: Two days on weekend and varies on Holidays and Special Events. Cancellation: 14 Days ($25 Cancellation Fee before 14 days/forfeiture of one night's deposit within 14 days.) 30 Days on Holidays and Special Events ($50 Cancellation Fee before 30 days and forfeiture of deposit within 30 days.) Minimum Stay Requirement - 2 Days on weekend and varies on Holidays and Special Events. Rates on Holidays and Special Events vary. Meals Included in Rates: Breakfast and Extended Continental Breakfast by the pool. 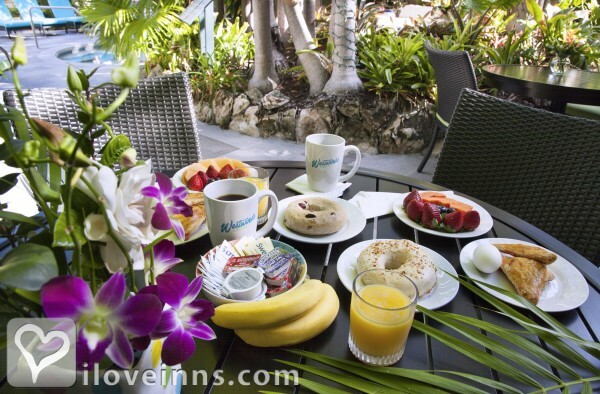 Types of meals: Continental Breakfast and Extended Continental Breakfast served by the pool every morning. 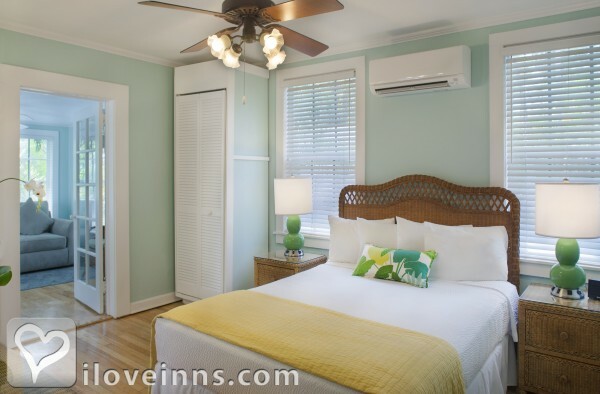 Amenities In Room: Air Conditioning, Clock Radio, Hair Dryer, Iron/Ironing Board, Telephone, Cable TV, Bath Amenities, Refrigerator, Reading Lamps, Coffeemaker, Ceiling Fans, Television, Wireless Internet Access, Refrigerator is available in all the rooms, except the Economy room. Jr. Suites, Suites also include a coffee maker, microwave and other amenities. 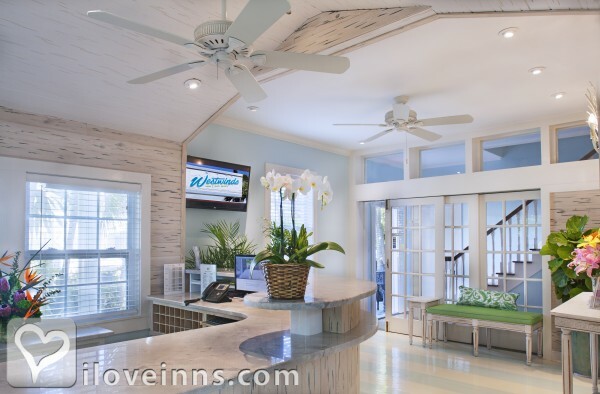 Amenities On Site: Phone, Swimming, Library, Limited Handicap Access, Laundry Facilities and Television. Business Traveler Amenities: Hair Dryer, Television, Daily Newspapers, Iron/Ironing Board, Wireless Internet Access and Check-in time at 3:00 pm. Check-out time at 11:00 am. Late arrival after 8:00 pm. Please indicate. Late check-out request with minimal fee. Events Hosted: Romantic Getaways, Seminars, Family Reunions, Honeymoons, Weddings and Meetings. Other Activities: Water Sports, Shopping (Local Crafts), Parks, Museums, Live Theater, Hiking, Golf, Fishing, Canoeing/Kayaking, Bicycling, Beaches, Art Galleries, Wave Runners, Snorkeling, Diving, Sailing, Fort Zachery Taylor Park (beach, historic fort) and Writers Workshops. CafeSole, Michael's, Finnegans, A&B Lobster House. Westwinds Inn architecture dates back to the early 19th century. 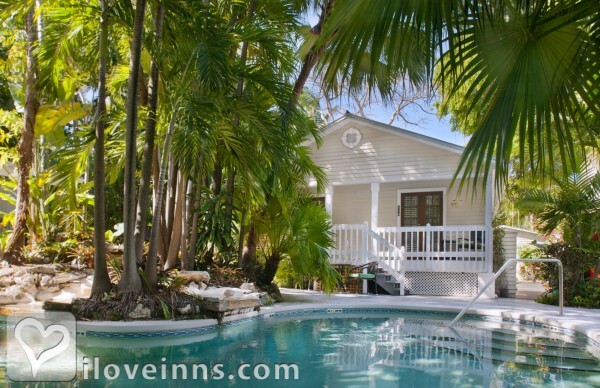 Westwinds Inn is your soothing, tropical getaway where you can relax and unwind. Enjoy nature's beauty in a private, tranquil setting surrounded by enchanting lush gardens. Swim in our two large pools, one of which is heated with a Jet spa.